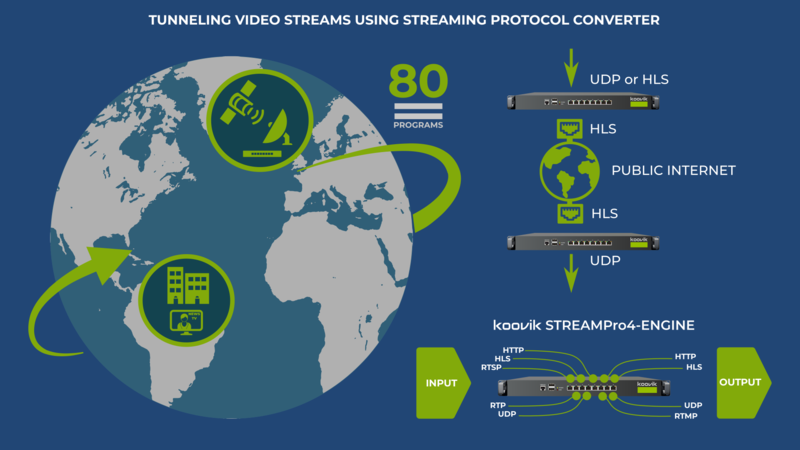 LIVE VIDEO STREAMING PROTOCOL CONVERTER. HTTP, HLS, RTSP, RTMP, RTP, and UDP. 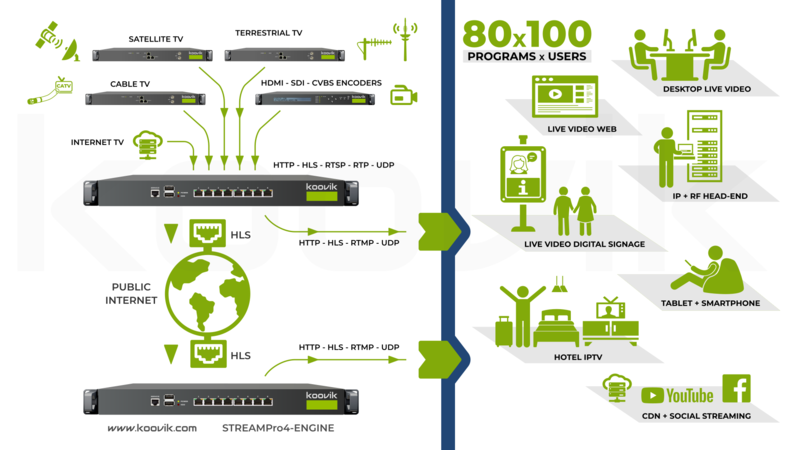 Up to 80 SD or 20 HD programs (160Mbs). Built-in server supports 100+ simultaneous subscribers. 1Gbps Ethernet interfaces max capability. 16GB Solid-State Disk(SSD) for uploadind and playing TS files. Embedded web server for set-up. 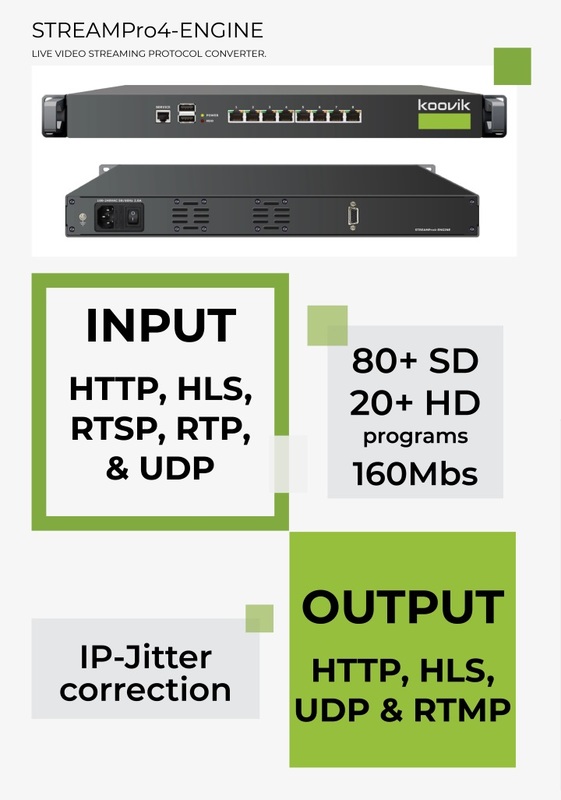 Protocols HTTP, HLS, RTSP (over UDP MPEG TS payload) , RTP(SPTS), and UDP(SPTS). SET-UP Network Management Setup using Embedded web server (English). included 1 x mains cable.